Disclaimer- I am not a doctor. This blog post is general information only and is not to be substituted for medical advice, diagnosis, or treatment. It’s been eight long years since I first presented with Hashimoto’s disease symptoms, and likely over a decade since the war started in my body. It’s estimated that up to 90% of women who are dealing with hypothyroidism are actually suffering from Hashimoto’s. An autoimmune disease that attacks the thyroid, Hashimoto’s has an epically long list of symptoms. From fatigue to weight gain, to hair loss, to cold intolerance… I had them all, and against all odds at the time, I stand here today managing Hashimoto’s naturally. After just a couple of short years of ignoring healthy lifestyle choices and still riding the Hashimoto’s roller coaster, I was over it. I had to become my own health advocate and literally go to school to become a nutritional therapy practitioner myself, but I was determined to get better! And little by little, day by day, I did it! And I am so excited to share with you how I manage my Hashimoto’s naturally to help you on your healing journey! 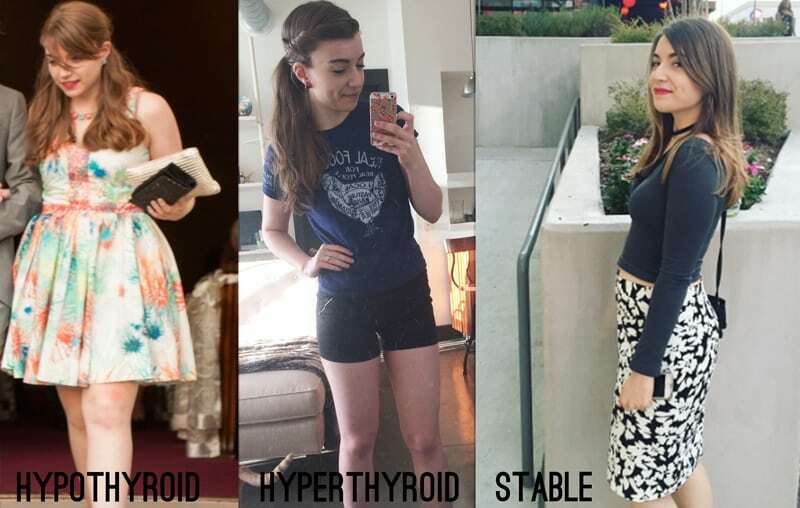 I went from hypothyroid… fatigue, weight gain, intolerance to cold. To very hyperthyroid… heart palpitations, panic attacks, jittery feelings. To stable… and while not eating whatever I want and pushing myself to my breaking point, still healthy, and thriving. While I still don’t consider myself miraculously healed for all of eternity and that I could never experience a flare again (gotta keep up with my GF humble pie), my life today isn’t occupied by constant Hashimoto’s symptoms… so how did I do it? 1. I worked with a practitioner. Apart from all of the natural things you can do to support your health, you still need to work with a practitioner to address issues. I work with an MD that also practices functional medicine, and it’s incredibly beneficial. I never recommend tackling this journey alone. Yes, you can make huge changes to your health by managing your diet and lifestyle, but working one on one with a doctor is still necessary. I worked with my doctor to find the best route for my thyroid medication as well. I address my experience with medication here. 2. I focused on healing my gut and digestion. In the words of Hippocrates, “All disease begins in the gut” as 70-80% of our immune system being located in our digestive system! This is important for everyone, but in particular for autoimmune disease like Hashimoto’s. The autoimmune gut connection comes in when our intestines become permeable, or “leaky” (hence leaky gut) and molecules of the food enters our blood where our body is confused by these foreign substances and attacks them. Molecular mimicry takes place where these foods look like our own body, and the immune system attacks our own organs or organ systems. Healing the gut and digestion is vital to healing autoimmunity. Follow a healing protocol like AIP, Paleo, GAPS, low-FODMAP, etc. while researching which is best for you. I follow an AIP (autoimmune protocol) template and find it works best for me. Work a practitioner to treat infections and imbalances. Supplement with digestive support, enzymes, and hydrochloric acid when needed. Reduce stress and inflammation from food, lifestyle, etc. Up your beneficial bacteria with probiotics, fermented foods, and more. I’ve outlined these principles and more in detail in my e-book, the 30 Day Gut Health Diet Plan & Guide, which is an amazing resource for taking your first step with managing chronic illness! 3. I ate for nutrient density. Cutting out stress and inflammation in the form of foods such as junky oils, gluten, sugars, etc. is hugely beneficial… but it’s not enough. I went years thinking that as long as I wasn’t eating gluten, I could eat whatever gluten-free packaged food I could find and it would be fine. I’m looking at you, Rice Chex. To truly heal ourselves we need to eat nutrient-dense foods that are seasonal, local, and filled with the vitamins, minerals, and nutrients needed to thrive. When I first went AIP, it was the first time in my life that I went from eating processed junk to trying to eat as much real, local food as I could possibly get. That meant hitting the Google search bar to find a farmers market nearby, digging around even more to find a local co-op and a CSA, and leaning on grocery stores like Natural Grocers to find nutrient dense food. Fresh vegetables like beets, carrots, celery, kale, spinach, cauliflower, broccoli, sweet potato… etc! Wild caught fish like salmon, sardines, mackerel, and shellfish. Pasture raised meats like grass-fed beef, grass-fed lamb, pastured chicken, etc. Healthy fats like avocado, pastured animal fats, olive oil, coconut oil, and nuts (if tolerated). It simply just doesn’t come from a box! 4. I customized my diet to fit my own intolerances. Food intolerances are incredibly complicated. Food allergy test like IgG tests simply aren’t 100% reliable, yet most of us still have more intolerances than only foods avoided on AIP. It’s important to monitor how you feel with foods, track your symptoms, and even utilize pulse testing to test your intolerance to foods. For me, I found that certain foods are just not my friends. It sounds weird, but when we think about all of the weird things that are done to the food supply and how sick it makes us, it’s not entirely farfetched. 5. I actively worked to heal my adrenal dysfunction. I’ll be honest, I never even heard of adrenal fatigue before I started studying to become a nutritional therapy practitioner (NTP). However, I came to find that adrenal health is crucial for thyroid health and that I had stage 2 adrenal fatigue. Your adrenal glands regulate your fight or flight response and cortisol from the adrenal process sits above thyroid hormone on the endocrine cascade. When the adrenal process gets worn out from it throws the entire hormone cascade. That’s the nutshell version, but check out this book for more… it’s way too good! 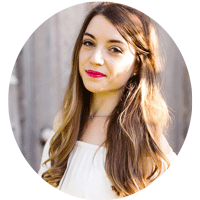 When I was in my most recent hyperthyroid flare, I was planning my wedding, working a full-time job, in school, writing this blog, working a consulting gig, all while still trying to keep up with AIP… and I wondered why I flared. It may look fluffy and cute, but in reality, adrenals were screaming at me in this photo on my wedding day! I’ll never forget how completely and utterly exhausted I was when I collapsed into the limo on the end of that day. 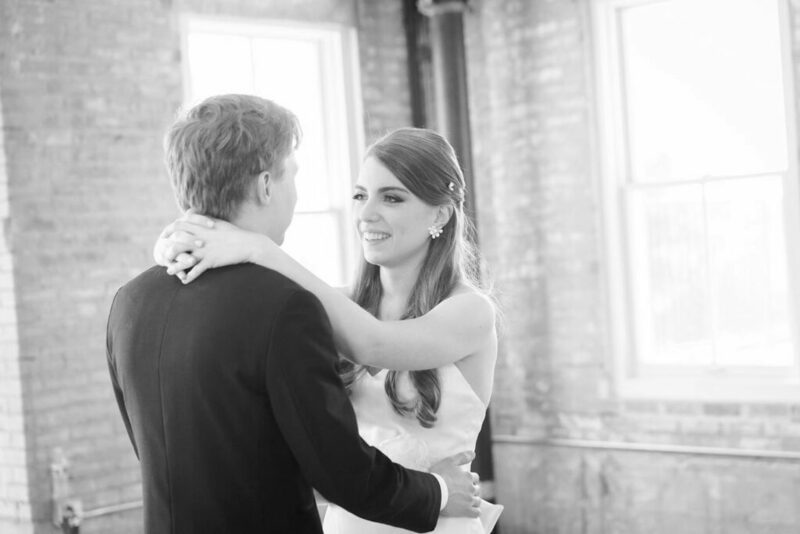 You don’t have to just be planning a wedding to suffer adrenal fatigue. It can be stressful at work, a big life event, or even a side effect of another illness. Adrenal fatigue is so widespread, and it’s symptoms are all too familiar. Low energy, salt cravings, poor sleep, etc. We’re most likely all suffering from different levels of it or have in the past. So what do you even do? Remove the stress of inflammation from inflammatory foods. For myself on an AIP template, that was ditching grains, dairy, nightshades, added sugar and taking a break from nuts and seeds. Eliminate unnecessary stressors. Look for the low hanging fruit of high stress in your life and work to resolve it. Like, did I seriously need to be working like 5 jobs during my wedding planning? No. Think, Michelle. Chill. Focus on prayer, meditation, and mindfulness. Prayer and scripture really help me put my situation into perspective and calms me down. I take a few minutes each day to let that perspective sink in and re-center myself. Supplement mindfully. Most of my own NTP clients that I work with wind up on adrenal support (herbal or glandular) and I’m on an herbal supplement as well. 6. I worked on regulating my blood sugar. Before I even started addressing my adrenal health, I was aware that I had blood sugar issues from a blood test that I had gotten done back when I was in the middle of a flare. I was confused and scared about what it meant and wasn’t getting good answers from any of my doctors. Did I have to worry about diabetes? Was I insulin resistant? Doctors weren’t giving me the time of day, and I knew it was an issue. Blood sugar matters for everyone (especially those with Hashimoto’s) because it’s a huge stressor on your body and endocrine system. Let’s just say you have hashimotos… and adrenal fatigue (raises hand)… your body is already working too hard to reach homeostasis with all of this craziness, so now you’re going to throw all of this sugar at it? Bad idea. Blood sugar spikes stress out your body, your adrenals, and do absolutely no good for your thyroid. Cut out excessive added sugars. Be honest with yourself… are there tons of added sugars in your life? Treats here and there are fine and trust me… I’m still all about it. But be mindful of excessive sugar. Pair carbs with fat and protein. Fat is slow burning fuel, whereas sugar burns incredibly quickly. That’s why when you have a bagel for breakfast, you’re hungry at 10 am. Your body burns through it so quickly and needs more fast, whereas fat and protein keep you fuller longer! Pairing my plantains with avocado, and other carbs with fats and protein helped me avoid blood sugar swings and cravings. 7. I reduced the intensity of my workouts. When dealing with an illness like Hashimoto’s when the body is already under stress, intense exercise can be just as much of a stress on our body and adrenals as conventional stress is. I did CrossFit for years after being diagnosed with Hashimoto’s, and though I loved the endorphin rush and the empowering feeling from weightlifting, it started to catch up with me. On top of all of the other stress in my life, my body just wasn’t at the point where doing super intense workouts were serving me at the time. Though it made me incredibly sad, I turned in my wrist wraps for my yoga mat and saw such a change in my desire and ability to work out. When I first stepped back from Crossfit during my stressful wedding planning, I just started going to yoga 2-3 times a week. It felt like a huge decrease, but it was so empowering! It was great for my adrenals, my mindset, and my body. Today, I still try to get to yoga minimum once a week and have picked up weight lifting again and enjoy regular walks and hikes. It’s not as “cool” as CrossFit, but it’s been a huge piece in my healing. 8. I adopted a healing mindset. As I said, I’m not perfect. Just because I made progress now doesn’t mean that I won’t ever backslide. It also doesn’t mean that a flare just won’t ever happen again. All I can do is learn from the steps that I took to make progress now, try to stay as balanced as I can, and adopt that a healing mindset that this journey is for the long haul! 30 day restarts help get you on track, but real healing goes so much further beyond food, and further beyond 30 days. Recognizing that this may not be a permanent state of being. I may be doing well now, but that doesn’t mean I won’t ever flare again. It won’t always be perfect, and the more that I remember that, the more that it grounds me. Being grateful. Even on the worst days, there’s something to be grateful for. I always acknowledge when I feel good and healthy, and it helps increase my health further! Dumping what society says about health. Society says we need 80/20 and everything in moderation to be healthy. I just can’t eat junk food in moderation and stay healthy. The more I believe that I need junk food, the more I want it. I had to let got on societies notion that we need junk and bad lifestyle practices to be healthy, and fully embrace a healing lifestyle. Acknowledging that this is for the long haul. I may be way better than I was, but I’m not eating donuts and partying until 2 am either. This healing lifestyle is for the long haul if I’m going to maintain it, and that’s okay! 9. I trust in God. Before I ever put bone broth anywhere near my body, and way before I ever got Hashimoto’s, my faith is God has already healed me so much further than any good lifestyle practices. Throughout the course of my disease, I’ve seen God’s hand at work. Even in the darkest moments, I know that He is guiding me. It’s easy to want to get mad, and sometimes I do, but I trust that He is leading me through this. My Hashimoto’s has lead me to share my story to help others and to become a more conscious and grateful human being, and for that I am grateful! This is my journey… and I wouldn’t change it for anything in the world! Your journey may need more tweaking, but I assure you that living well with this disease, and chronic illness in general in possible! What I hope you take away from this is that it’s not all about medication alone, it’s not all about food alone… it’s not about any of this alone! None of this has existed in a vacuum for me, nor do any aspects of our lives. There are so many cofactors, so many different ways to balance our lives, and a holistic approach is always best. My hope for you is that you find what works for you and that you too can become healthier and happier in doing so. Thanks for writing this out so clearly and eloquently. I just came across you blog, thank you Instagram, and look forward to reading through past posts. My son (3yo) has graves disease caused in utero by my (at the time undiagnosed) autoimmune thyroid disease- It is a hard beat to slay, but we are going to make it happen for both of us! Thank you so much, Leonie!! Thank you so much!! I appreciate your Christian input. I feel like crying…your story is mine. Just now figuring out “what is wrong” with me. 4 small kids who love Mac n cheese I feel I have a long road ahead but with our Savior and knowledge, I’ll make it. Thank you!!! I have hashimoto’s as well and i’ve been on the AIP for 3 months now. i think i may have seen my peroxidase antibodies drop a bit (go from 600 to 425) however that’s it. when i take the synthetic thyroid my symptoms are so mild that it makes it hard to tell if any particular food is causing a reaction. Did you see a complete drop of peroxidase down to normal levels on the AIP? I saw it go down to normal levels with AIP, as well as the rest of the steps listed in this article 🙂 They’re not zero, but they did go down to within range. 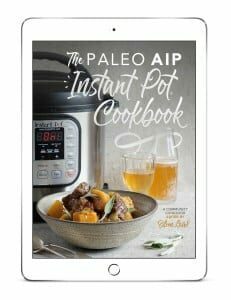 I have a full guide to AIP here 🙂 Sending love!! Wow. This is so inspiring! You are giving me hope. 2 months ago I stopped gluten and dairy. Also, I did food IGG test, and I’m trying to avoid the foods that I’m hypersensitive to. I hope I see good results. – Are you on any medication currently? – How many months did it take to reverse your Hashimoto? Are you antibodies free now? My endo did not give me hope about reversing it, but I do have not only hope, but strong belief that I can, and that God will be on my side. Hi Deena! Thanks for the kind words! I am not antibodies free, but they are within range. I still take thyroid medication and have written a post about it (search “thyroid medication” here). Praying for you on this journey!! Thank you so much for sharing. I got diagnosed 2 yrs ago and I’m still learning so much about my body and my flare ups. I just get overwhelmed many times. Especially being in the kitchen so much. DO you recommend any app to minimize kitchen time and still be diligently in ragging the hen roght foods for my body? I’m already battling lack of energy. Hi Michelle, thank-you for taking the time to share your journey! I just found out my 16yo daughter has the elevated labs that indicate Hoshimotos…she also has developed Vitiligo. I am trying to digest all of the valuable information you and so many write about. I have consistently seen the advantages of bone broth. Is there one you recommend that is sold in a powder form? I have seen some for sale along with collagen. It would jus be easier for me to buy a powder and mix it with water, but I will make it if its superior. Thanks again so much! Sorry to hear that Jennifer! Vital Proteins has a great Bone Broth powder 🙂 Hope that helps! Sending love! Fantastic article, you nailed all the points perfectly from prayer and mindfulness, diet and discarding the false notion that moderation is key, it’s not. A little bit of poison isn’t OK. This was inspiring! I found out I have Hashimotos today and just read your blog. Thank you so much for sharing! I am forever grateful and also for sharing your faith in our God. He is our healer. I also have candida and some parasites. It has been a journey these past 7 months discovering all of this, and I have trusted at times too much in the supplements or what to eat, but God keeps bringing me back to him. Working through some fear and deepening my trust in Him. So thankful that He is faithful and will never leave us nor forsake us. Thank you again for your amazing post! Oh wow I needed to read this . I already know all this having been in the battle but I’m in a flare and I can barely function. Thanks for the hope . First of all, I really resonate with your style of writing. I AM IMPRESSED with your expert advice and as a fellow AIP protocol(er) I loved what you said about getting local food. I cant bring myself to make bonth broth stew at home yet though. When i heard mention of knuckles and cartilidge i was out. I do take Dr Axe bone broth powder supplimemt and it is amazing. Thanks for sharing your life and legacy with us. You are giving hope to far more people than you know. God Bless you! I will be sharing this article in my circle. Michelle, I live in the Dallas area, too. I was wondering if you could email me the name of the functional MD you go to. I am interested in finding a doctor that does traditional med as well as alternative med. I also have hashimoto’s and I am really happy that I found your article! I never had an unhealthy diet and lifestyle, but in the past few months I have made a serious effort in hopes that it could help my thyroid disease. As of now, I’ve been told it’s a permanent medical problem that I’ll have to live with and I take medication every morning. I’m wondering how you knew you were cured and could stop taking your medicine (if you were on medication)? I have a post on my medication journey here. You are absolutely on point. Thank you for sharing. I’ve had hypothyroidism from age 7. I am now 34. I’ve seen some flare ups off and on and am way delicate to inflammation. I do think I have hashimotos because I’m so delicate to foods and will get slowed down. I’m a bodybuilder and strength athlete so the adrenaline stress is also real. I may need to face the hard truth of slowing down for a minute, eventhough weight lifting is the one thing I’ve always loved and used to keep myself sane. Thanks again for an excellent post. Hi, good article! I’m a 35 year old guy with hashimotos. I just recently found out the correlation between nickel allergies and thyroid health. I now know I have systemic nickel allergy syndrome (SNAS). It turns out the food I thought I was allergic to like soy, is one of the highest nickel containing foods. Also, stainless steel can contain up to 35% nickel. So I have to go buy bamboo eating utinsils and ceramic dishware I guess. I’ve also read that 7-10% of people in the UK are allergic to nickel. Anyways, I am extremely happy to finally find out what has been getting me. Not Kryptonite, nickel! Very interesting! I’ve had nickel issues in the past… something to think about for sure. I stumbled on this post through Google. What a great post! Thanks for sharing. I found out I have Hashimoto’s a few months ago but had to see several doctors and do a ton of research to get there. I too stumbled upon Functional Medicine, finally (after multiple retries) gave up Crossfit and settled on hiking, shorter/less intense runs, and weightlifting. I still splurge on going backpacking/long MTB rides but have to know I’ll pay the price for 2-3 days. I’ve tried the autoimmune paleo for 2 weeks then a few 4-8 week stints of paleo with no noticeable benefit. How long did your results take? The social aspect of going autoimmune paleo is a high price. I’ve been gluten free for 3 months so far. Again, I haven’t noticed any benefit so far. How long did this take for you? Thanks again for sharing. It’s empowering to hear your story and how your faith in God has pulled you through as well. For me, I saw results fairly quickly… a few weeks and I felt way less inflamed. I would for sure get with a doctor to figure out if there are any underlying coinfections that are holding back your healing. Good luck!! Hi Michelle, thanks for sharing your journey with us and covering a whole range of aspects to consider for better health. I have hashimotos too with a considerably high antibodies count. Have you cut out alcohol completely? I have recently started drinking wine as apart from rum, it seems to be the only other choice for gluten free alcohol. Please share your thoughts. Personally, I don’t drink alcohol at all. I don’t feel well when I do, but some do alright and that may be totally fine for them and their body! So glad I found this page I have been trying every diet under the sun to get to the bottom of this. I’m an active fit male but my appearance doesn’t reflect it.. I count calories macros eat healthier than 90 percent of people I know but continue to lose hair thinning eyebrows contact dermatitis and hard to lose weight. I have a prolactinoma and was once adrenal insufficient however I believe I still have some adrenal fatigue I’m gonna read your article in more depth later and adjust my diet as I do have a leaky gut at times and constipation and when consume any carbs bloat up which points to insulin spikes. Curious do you touch protein shakess or are they bad for healing? So glad it resonated with you, Kevin! I think it really depends on the shake… I would for sure talk to a doctor/nutritionist on the specific shake and your specific situation. I use collagen powder and make my own homemade smoothies at times for sure and it works well for me personally. Thank you for sharing your story! It was exactly what I needed to hear. I pray you find peace and rest in knowing that our God is always for us! Sounds like you are an incredibly strong woman on a journey of healing and I will keep you in my prayers. Thanks for sharing your experience and I really appreciate the way you are creating awareness about this health issue through this blog. But you did not say if you take medication or not. I address my status with medication in this blog post. So inspired by your story! I’ve been dealing with a TON of palpitations/PVCS for over a year now.. and it’s been very debilitating. It’s time I change my diet to see if that helps, before doing any medical procedures like an ablation. I read you had some palpitations.. wondering if it’s what I am going through? Medical doctors have tested my thyroid and said I am fine.. but still wondering if I have hyper or hypo thyroidism? Hi! Someone please help LOL I’m 22 also have hashimotos. But I have a super enlarged thyroid goiter? Causing trouble swallowing choking on food has any one had this and been able to relieve it without medication ? Because my levels are normal they don’t need to put me on meds at this point. Hi Cam, you really need to talk with a doctor about this ASAP. I am not a doctor and no one here can legally or ethically help with this. Please go to a doctor to address this. How do I acces recipes? What type of doctor do you go to? I was told i have hasimoto but it hasnt affected my thyoid as of yet. So they wont treat me. Thank you for this blog. It has been a blessing to me. People judge my changing apearance, not knowing what my body is going through. It helps to know that there is hjope and ghat this is not a death sentence, and the weight does not have to have permanent redidency. God Bless. Sending love! I know it’s hard <3 God bless you too! Been seeing doctors since April 2018 and finally a doctor who specializes in nutrition is the one that told me what to do. I’m first hearing and reading all I can. She started me on 3 supplements and suggested GF. Its going to be challenging but doable! Only problem with the new doctor is my insurance does not cover me under her care…bummer. This weekend will be a Hashimoto crash course. I appreciate you sharing your story. I have a ways to go myself, got to find me one of those Functional Medicine Doctors. I had hypothyroid and am on Levothyroxene Sodium for a number of years now. I started having symptoms like thinning hair, weight gain,a scratchy voice, but the killer for me is that my tongue is getting bigger, to the point that it’s pressing against my teeth and becoming uncomfortable. Has anyone had to deal with their tongue enlarging? How do I make it stop and will it ever return to normal size? I see my Endocrinologist next Friday and I was planning on asking him to refer me to someone who specializes in treating Hashimoto’s. He diagnosed me after doing an ultrasound on my thyroid 6 months ago. He said I was already on the right treatment and he was finished with my visit. I didn’t even know what I was supposed to be asking him. Anyway, thanks for letting me vent and maybe somebody else has heard of the tongue thing. Faith is a large part of my life too. I am currently working on being greatful for everything good in my life.It feels so good to hear from others who are dealing with Hashimoto’s. I don’t feel so alone anymore and I have found a great resource to mine. Making several favorites on my blah blah blah. Can’t remember the name for it. But I am still OK. Lots of love and warm hugs to all of you and I wish peace for each of you. I just came across your blog while seeking out “how to heal hashimotos naturally”. You’re writing really spoke to me, and came at just the right time. I’ve been struggling a lot and God definitely used you to encourage me , and give me some direction. Thanks for what you’re doing to help others lady. You’re a blessing! Thank you so, so much Jill <3 So glad that this resonated with you! Sending love!